Last week, we explored the revolutionary change blockchain technology was bringing to the world, and even more to scattered populations like the islanders of the Pacific Ocean, or the coasters of the Asian, American and Oceanian continents. Now, let’s check out the second great disruption in the decentralization revolution: the energy decentralization, triggered by some of the greatest game-changing technologies currently developing at high speeds: solar power, energy storage, and alimentary autonomy. Let’s first go back in time. We saw how information centralization was a natural phenomenon, doomed to happen, as getting more information efficiently led to the identification of the best energy sources, the ones with the best effort/reward ratio. In a survival context, this led most certainly to the objective of securing areas containing those resources. Thus must have appeared the notion of hunting, fishing or gathering territory, claimed and appropriated by a random group. The securing of an energy source led to centralisation, with the establishment of seasonal camps and the exploration and recording of the best routes to exploit surrounding ressources with minimum efforts. Energy centralization was born. 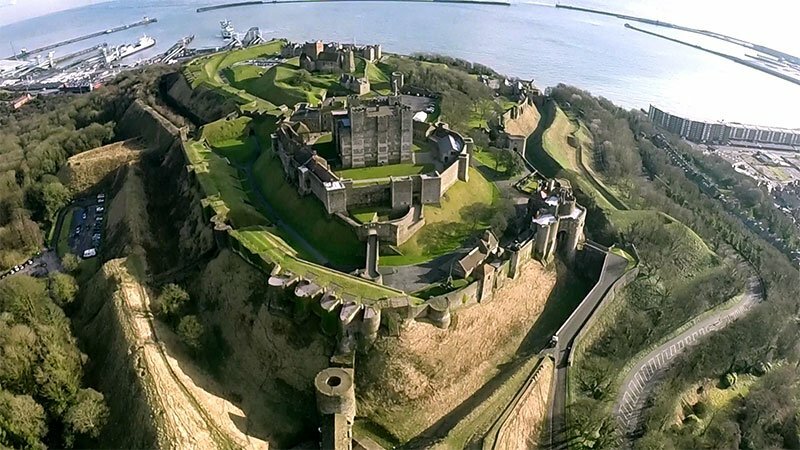 Castles were made to protect valuable ressources, like people, grain, and wealth. The most precious ones being stored in the central fortified building, the keep. Later, the discovery and development of agriculture led to the last part of the centralization trinity : the geographic centralization. It surely existed before, but in a more “fluid” way, following the seasons to access various ressources belonging to different areas. As soon as we had mastered a way of producing supplies without having to move periodically, thus sparing a large amount of energy, we began to root. We began to build static secured centers to store and protect crops and livestock. The holy trinity of our centralisation instinct, as we just saw, developped trough time based on very physical needs: first, information gathered in a concentric pattern helped to get food efficiently. The gathering of this energy source soon evolved in the most effective way, the concentric one: from the surroundings to the center. But that center moved following the gathering seasons. When agriculture and domestication emerged, these centers became progressively static. Centralization trinity was completed, and it was sure to flourish for millenias… until now. The cost of solar power has dived dramatically these last years, passing under the cost of coal a few months ago. Major developing nations China and India are currently investing massively to shift quickly to renewable, and become leaders on these markets. In the meanwhile, battery development is being pushed forward by the largest industrial companies of the planet (Tesla, Panasonic, GE…), initiated by visionaries like Elon Musk. The latter is currently constructing the largest battery farm in the world in Australia, which will be used to regulate the electric grid of the whole state of South Australia, and store renewable electricity. Several islands of the Pacific have already gone solar these last years. They have replaced their fossile burning generators with solar farms. And they are currently making good savings. Can you see where we are heading ? To decentralized energy. Sun is everywhere. You will soon have no need to be connected to a centralized energy grid to live decently. And it is already the case for a lot of people around the globe. Today, you can already invest in several equipments to live totally off-grid without loosing much comfort. This is even more relevant for scattered populations of islanders living throughout our great Pacific Ocean. The great leftovers of the centralized ruling system. Over the Internet, you can purchase a solar roof and a Powerwall battery from Tesla. 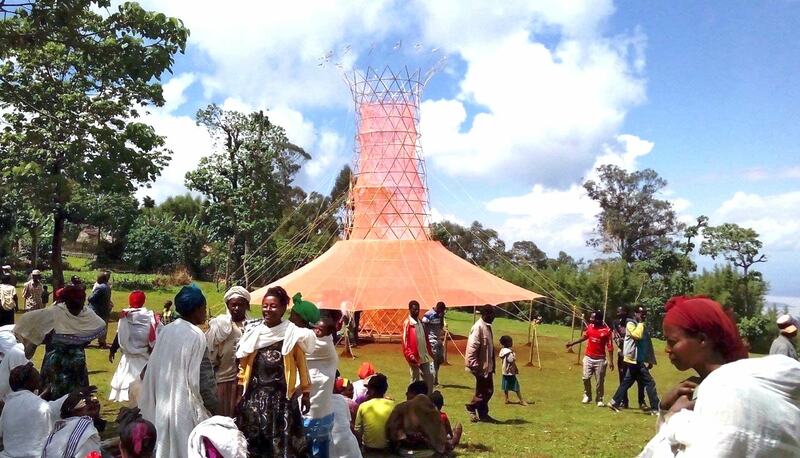 A desalinator or a water collector (like a Warka tower which collects rain, harvests fog and dew) if you don’t have an easy water source. With this, you can grow a garden, and there you go ! You have the basis for living almost anywhere. And it’s only the beginning. These technologies are improving very very fast. Last but not least, the information boom (boosted by the current decentralization disruption) has given birth to a host of new ways of producing food. Modern techniques researched by rogue pioneers during the last decades are silently but surely paving the way to greater individual alimentary autonomy, while removing us away slowly from our heavy reliance on massive centralized industrial production, which was one of the greatest factors of success of our specie in means of population size. Permaculture is one of the most promising. Its promises are quite mesmerizing as it aims to automatize food production by creating viable auto-balanced micro-ecosystems, while in the same time diversifying tremendously alimentary diversity. It has also the natural advantage of stocking CO2 much more efficiently than monoculture, and also harmonizing with nature. And the magical thing is that you don’t need much land to feed yourself, only a great amount of knowledge on the plants, animals and macrobiotic fauna adapted to the local climate. You then need to balance and match them in a very specific order to get the best of the whole system, which then runs autonomously, while you reap what you need. Series of real-life experiments in this domain have proven to be highly successful over time and this agricultural science is currently rallying millions of followers, all bind by the same objective: eat better food, get healthier, make some savings. According to Appleseed Permaculture, over 1,000,000 people are now certified in permaculture in more than 140 countries with more than 4,000 projects on the ground. Tens of thousands have reached alimentary self-sufficiency and have stopped spending at all to feed. Great nature with intelligence and a cooperative mind, and thats the king of reward you can get out of it. Nice , don’t you think ? Here are 16 successful Projects Highlighting Permaculture Use.